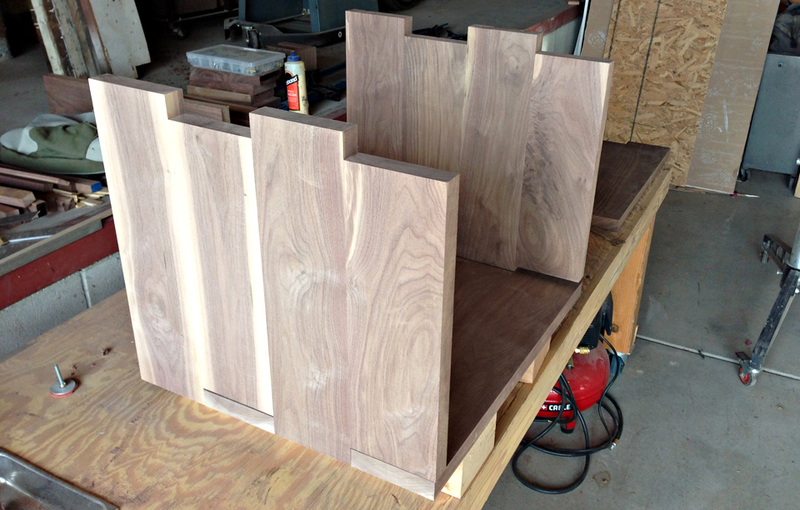 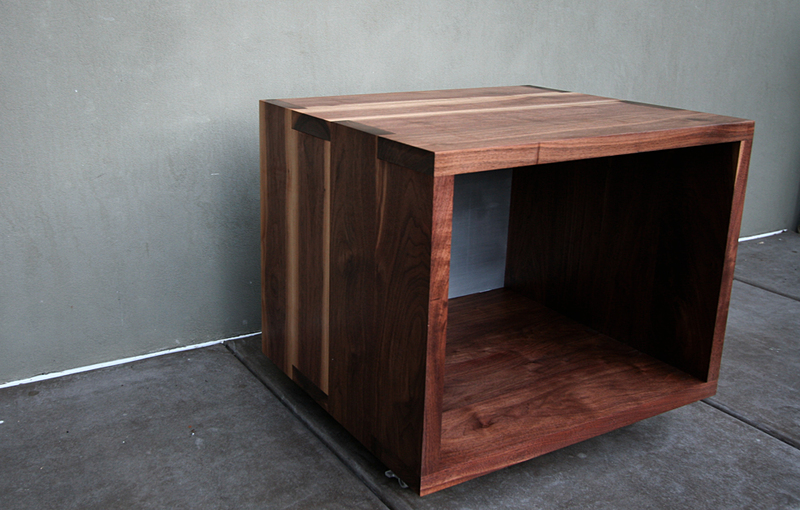 The Black Walnut End Table is about simplicity and materiality. 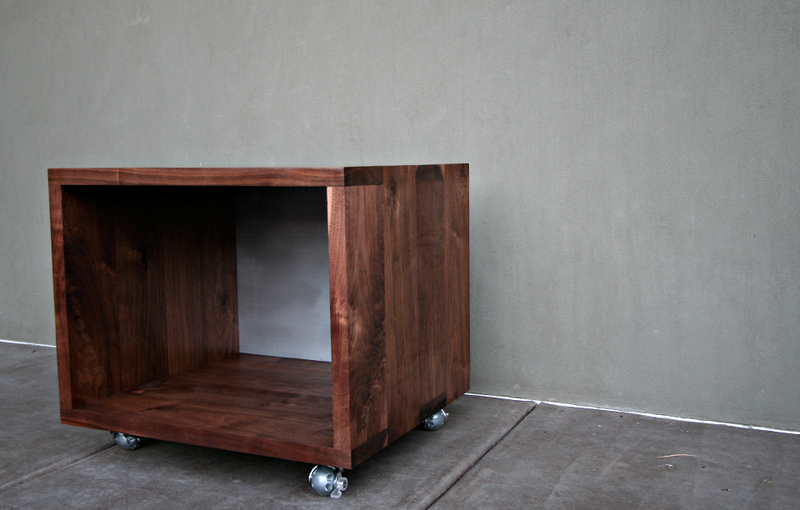 By using 6/4 Walnut, the frame of the unit sits more profound and exaggerated. 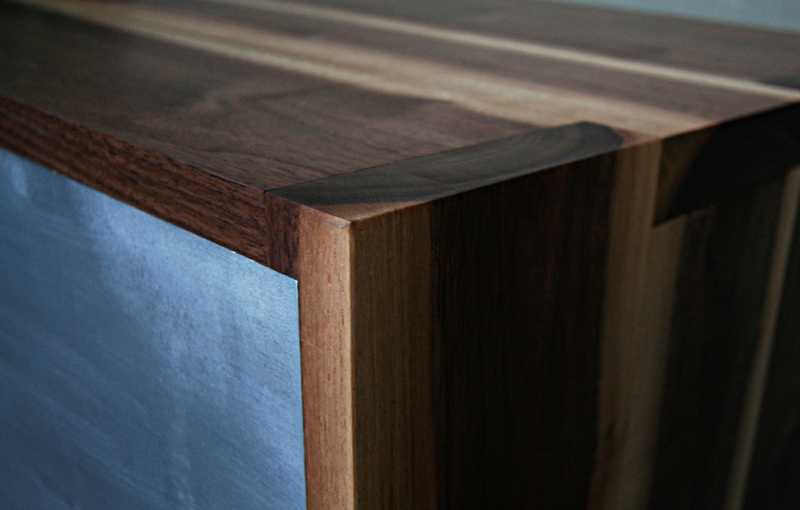 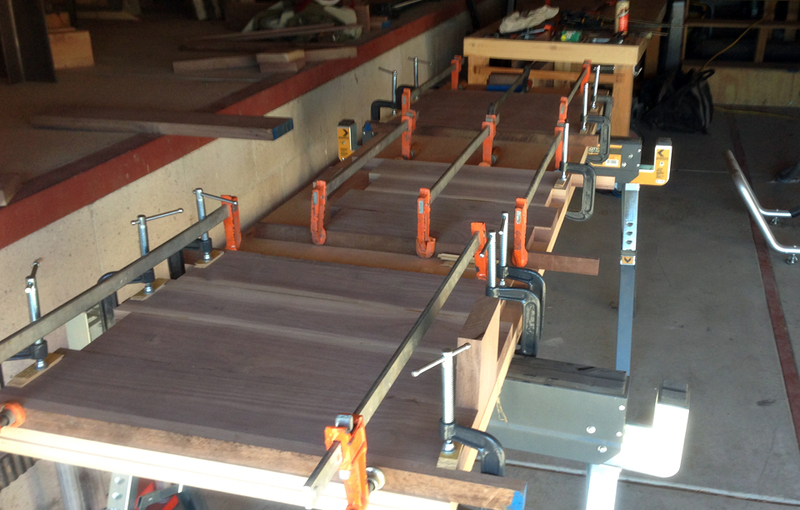 The edge condition is built of over sized box joints made during the glue up process rather than typical finger joints to help build the proud effect. 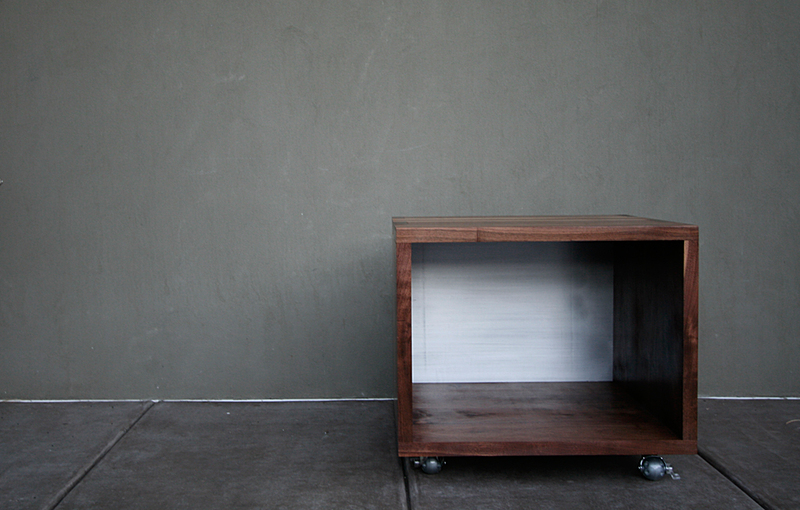 The box sits on locking casters and is backed by a brushed aluminum plate.